Six-month-old Yola will roam the zoo’s outdoor gorilla exhibit beginning Tuesday, Woodland Park Zoo officials said. Yola, the 6-month-old gorilla at Woodland Park Zoo, will make her public debut Tuesday. 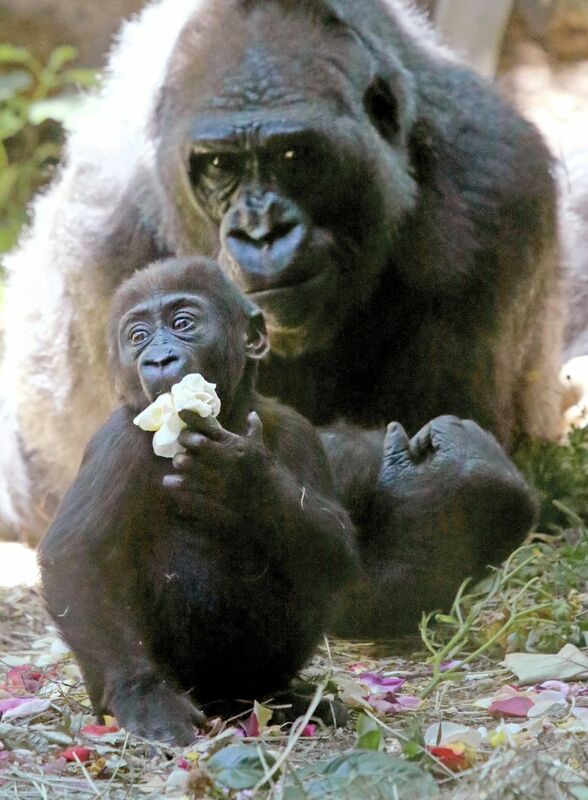 She and her 20-year-old mother, Nadiri, will roam the outdoor gorilla exhibit with two others a couple of hours each day beginning around 1 p.m., weather permitting, Woodland Park Zoo officials said. Members of the media were given a preview Monday. The baby gorilla’s daily time in the exhibit will increase throughout the summer, officials said. Another group of gorillas uses the space during the morning. After Yola’s birth, Nadiri did not show strong maternal interest, so zoo staff and a veterinary team provided constant care for the baby. Now, officials say their bond is growing, and caretakers have stopped giving Yola overnight care because her mother has begun sleeping with her. The new baby was the first gorilla born at the zoo in eight years.